While frequenting one of my favourite forums I came across a player who was struggling to find the nearest location to purchase a Viper. Other posters did direct him to the Elite: Dangerous wiki which contains some locations but I noticed it didn't seem to have any for the region of space I'm currently exploring which happens to lie along the Federation-Empire border. Consequently, I thought it would be handy for my own sake to record where you could buy particular ships, starting in this region and I'll see where I go from here. 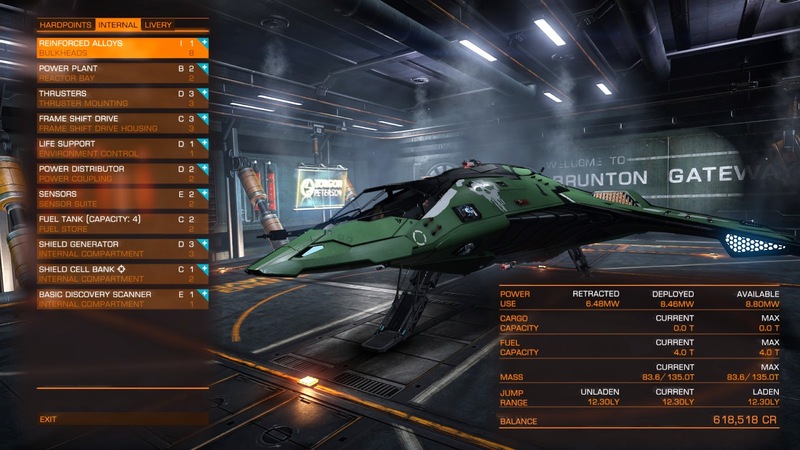 The reason I've posted it here is that I'm hoping that it helps other Elite: Dangerous Commanders too. I've also taken the liberty to do some extra research on the stations to determine if there is a pattern based on the station economy, faction allegiance, government type, etc. I'll record any potential theories or findings below the data if anyone's interested. Starter ship. Also more than 95% of stations visited stock the Sidewinder. Here are my findings/theories so far based on analysing the station economies, faction allegiances, government types, etc. Stations with the same economies in the same system tend to sell the same ships - although there are exceptions. Stations with Industrial or High Tech economies tend to have the best range of ships. Agriculture economies tend to have 5 or 6 ships for sale and they're usually freighters. There are exceptions though. Freighters tend to be more common than combat vessels or more expensive vessels. Refinery economies tend to have the worst range (3-5 ships). The Orca is found on 35 stations on this list - most of them run a High Tech economy although there are exceptions (such as Tourism).